A Keratin smoothing treatment is a very effective hair straightening treatment that transforms curly hair to straight hair for a long-lasting effect. Also known as a Brazilian keratin treatment, this process smooths out wavy, curly and frizzy hair. 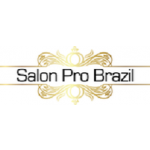 Why is it called Brazilian Keratin treatment? 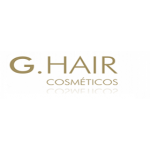 Originally popularised in land of samba and caipirinhas, the best keratin treatment originated in this warm country, where a large percentage of the population has curly hair. This hair keratin treatment spread to the United States and then to the rest of the world, where it was renowned as a powerful way to straighten unruly hair, especially in those hot summer months! Nowadays, it is referred to both as a Keratin treatment and a Brazilian Keratin therapy or treatment. 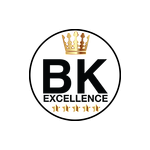 In the salon world, many pros will simply refer to it as BKT. Keratin is a protein found in Keratin treatment products. It occurs naturally, and is found in hair, skin and nails. This fibrous protein acts as a protective protein, guarding against damage from the environment—sun, humidity and the general day-to-day activities. Keratin is essential to giving hair its strength. When keratin is depleted from environmental or chemical factors, the hair strand becomes porous and can is susceptible to more damage. Replenishing keratin to damaged hair gives it a new coat of protection and restores its strength and elasticity. Professional Keratin hair products have specific formulas, ensuring that just the right amount of Keratin is present, as to keep hair supple yet strong. For anyone with wavy, curly or frizzy hair, the Keratin treatment for hair will alleviate some of the pains associated with those beautiful (and sometimes annoying!) curls. What are the benefits of getting this treatment? Getting this treatment will drastically cut the time it takes to get ready in the morning. With frizzy or curly hair, think about how many hours you spend each week getting your hair to cooperate. For those who really want straight hair every day, a flatiron can take upwards of an hour each morning. After a Keratin treatment, your hair will be straight right when you wake up. You simply need to give it a simple blow dry to get it to be straight and shiny. No more waking up early to straighten your hair! You can even walk around on rainy or humid days without worrying that your hair will frizz up immediately. Since the keratin surrounds the hair strands, humidity can't get in and cause hair to get frizzy. A stylist will apply the Keratin product to your hair and will be careful to avoid your scalp, as prolonged exposure can irritate your skin. Your hair will soak in the solution to take effect. Your hair will then be blow-dried and flat-ironed, without rinsing out the solution. Following the treatment, you must not shampoo your hair, as this time period is important for the Keratin to properly bind to your hair strands. You want to give the solution the time it needs to take full effect. Don't take the risk of washing it out too early—it can mean a drastically shorter time that your hair will be straight! Consult with your stylist for specific times depending on the formula that is used, but the general rule is to wait at least 3-4 days after the treatment to wash your hair. What types of hair does the Keratin treatment work on? This treatment adapts to all types of hair: Caucasian, Latina, African-American, Caribbean, Asian—basically, any type of hair responds well to the Keratin treatment. Keratin treatments work on anyone with wavy to very tight, curly hair. For those with colour-treated hair, good news! Keratin treatments are just as effective on coloured hair as on natural hair. 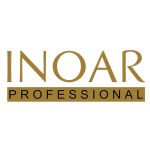 Hairprodirect.co.uk supplies the biggest and most reputable brands of keratin treatment such as Inoar and G.Hair. Keratin treatments last around 3-4 months. After this (depending on how many times you shampoo per week), your hair will begin to bounce back to its original state, although much less than before. After this time, your hair will have grown as well, which means you will want to treat all your hair together so it has a uniform look. How do I keep up my new Keratin hairstyle? When it is finally time to shampoo, we recommended that you use a sulfate-free shampoo. Sulfate are powerful cleaning agents found in many shampoos. They wash your hair strands thoroughly, but sometimes too much! Why are sulfates bad for my Keratin treatment? Sulfates are powerful chemicals can can strip the hair of its natural oils, causing dryness. This applies to the Keratin treatment as well.. Sulfates can affect the hair cuticle and strip the keratin from your strands. 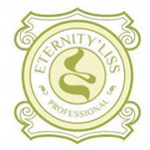 This not only makes your hair feel dry, but it can diminish how long your treatment will last. Your curly locks could come back sooner than you expected, which will end up costing you more money. For this reason, it is highly recommended to use a sulfate-free shampoo to follow up the Keratin treatment. How do I know if a shampoo has sulfates in it? If you buy shampoo without talking to your stylist, there are a few acronyms you should be aware of!The most common sulfate seen in your everyday shampoos is SLS (sodium lauryl sulfate). You may also see ALS (ammonium laureth sulfate) and SLES (sodium laureth sulfate), which are also common sulfates. Look for these on labels—and avoid them! Keratin treatments can vary in cost, but they are generally a significant amount of money. You must see the benefits that the treatment will give you in time saved getting ready, as well as the newfound confidence you will have! On average, treatments cost between £200 and £300. A good Keratin treatment requires a professional stylist. Therefore, prices that are too low should be avoided, as the solution may be cheaply produced, or the stylist may not be trained properly.